The Building Committee is an advisory and assessment body whose members are appointed by the State Planning Commission. The Building Committee’s Chair, Mr Gavin Leydon, was appointed on 8 November 2018 replacing Mr Alan Taylor, the Committee's inaugural Chair. Prior to this appointment, Mr Leydon had been an inaugural Committee member. 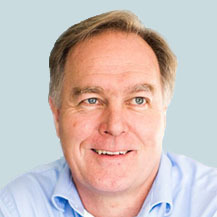 Gavin is an environmental and development lawyer with 30 years experience in the private sector. 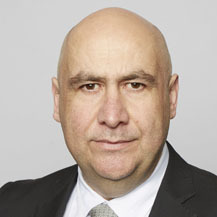 His practice has primarily involved advising various levels of government on the South Australian planning, building and development system and representing those clients before the Courts. 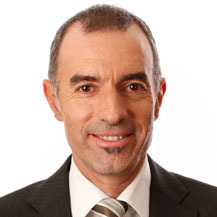 Gavin is an Honorary Fellow of the Planning Institute of Australia and has been appointed to a number of private and government boards and committees including the South Australian Heritage Council as a member for 12 years and the Local Heritage Advisory Committee as Presiding Member for 12 years until the commencement of the State Planning Commission. 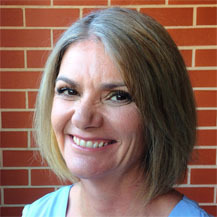 Debbie is a lecturer in building surveying and fire engineering with the University of South Australia (UniSA). She has over 30 years of experience in the industry, including as a building surveyor within local government and as a private certifier. Her special interest in fire and education led her to a career at UniSA as lecturer in Building Surveying and Fire Engineering. Debbie was previously a core member of the BRAC and the most recent Deputy Presiding Member, holding this position from September 2015 until July 2017 with the commencement of the State Planning Commission. Joanne is a building designer, licenced builder and operates her own construction company. She has qualifications in building surveying, building technology, construction and business administration. 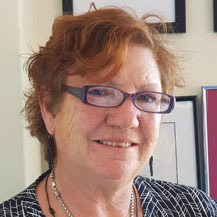 She has over 30 years of experience in planning assessment, building assessment, compliance and enforcement matters having worked in both state and local government, as well as in the private sector in commercial building work. Joanne was previously a core member of the BRAC and held the position of Deputy Presiding Member from November 2013 to August 2015. Nages is a Senior Fire Safety Engineer of the Community Safety & Resilience Department of the South Australian Metropolitan Fire Service (SAMFS). 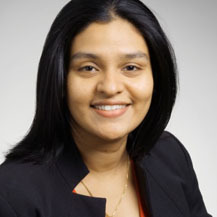 She has qualifications in mechatronics engineering and fire safety engineering and has worked on and provided consultancy services for many local, interstate and international development projects. She is currently responsible for providing engineering governance within the SAMFS and to external bodies ensuring that building designs meet the fire safety requirements of the Building Code of Australia and the operational requirements of the SAMFS. Nages was a member of the BAC from October 2015 to July 2017, with the commencement of the State Planning Commission. Jeff is a building surveyor within the City of Salisbury. 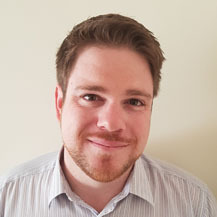 He has qualifications in building surveying and urban and regional planning and with over 10 years of experience in the industry, including within local council and in private practice. In his current role as the Team Leader of City of Salisbury’s building unit, he is responsible for building assessments ranging from small scale domestic construction through to complex commercial and industrial projects. Jeff was a member of the BAC from October 2015 until July 2017, with the commencement of the State Planning Commission. Dini is the Commissioner of Consumer Affairs and Liquor & Gambling with Consumer and Business Services in South Australia. His background includes law, consumer protection, corporate regulation, enforcement, change management and strategic leadership. He has also practiced as a solicitor in private practice, working in the areas of insurance, worker’s compensation and criminal law. Dini has also had national responsibility for complaints, investigations and prosecutions dealing with matters ranging from scams to liquidator misconduct to director’s duties breaches to insolvent trading. Peter is a consulting engineer and private certifier with over 25 years experience in both local council and the private sector. He has qualifications in building surveying and engineering and has provided expert advice on a range of buildings from project homes to large scale complex commercial buildings. He is proactively involved in upgrading the fire safety of existing buildings, serving on many council Building Fire Safety Committees. Peter was the most recent Presiding Member of the BAC, holding this position from October 2015 until July 2017, with the commencement of the State Planning Commission.